(Newser) – Heroin, marijuana, LSD, and ... kratom? The latter is a plant native to southeast Asia, and it's about to join the others on the most restrictive drug classification list in the US. The DEA said this week that kratom—specifically its active ingredients, mitragynine and 7-hydroxymitragynine—will become a Schedule 1 drug, reports STAT News. The agency can take such action for two years if it deems a drug to be a public threat. 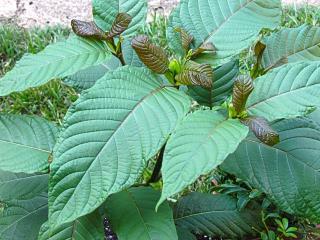 At low dosages, kratom tends to behave like a stimulant, but at higher doses it is reported to behave much like opioids and dull pain, reports CNN. Because kratom has long been considered an herbal supplement—and it's a popular one at that—FDA efforts to curb its use and regulate its contents have been restricted. So far no luck in locating this. I tried one store with the listed popular name, but had neglected to write down and look for the active ingredients. I will keep looking. "Because kratom has long been considered an herbal supplement—and it's a popular one at that—FDA efforts to curb its use and regulate its contents have been restricted. Several times more potent than morphine, it 'dulls pain very well," one researcher tells CNN. "You can have very, very good analgesia.'" So, since this dietary supplement works "very well" to dull pain, it is not part of any insurance company's formulary, and no large pharmaceutical company or medical conglomerate is making huge piles of cash on it, they bring in the DEA and make it a "schedule 1" offense to possess it,proving that MONEY TALKS. I wonder just how much kickback the bureaucrats are getting to enable Big Pharma and the industrial/medical complex to make yet another low-cost pain reliever unavailable to those who need it most? Obviously we need changes to enable our FDA to protect us from fraudulent, adulterated or harmful ingredients. But we also need access to less expensive herbal remedies that work along with the research to properly identify risks and appropriately disclose those issues. The DEA cutting off all research and access for those who benefit fits neatly with the views expressed on 60-minutes by the alcoholic who heads the DEA and seems to oppose any medication he feels has potential for abuse. Key I think is that he seems to have no education to be able to make those decisions based on science. The GOP is unable to do anything on any issue that is controversial within their party. And they can't compromise or even fairly discuss issues with those that don't agree with them completely. Hillary has pledged to take cannabis off schedule 1. Hopefully she can also get enough congressional support to fix and fund this type of problem too. We need gov to do some things. We need to pay for those activities. Trump's plan for his huge personal tax cut to 15% for anyone who works as an incorporated entity like doctors, lawyers, real estate brokers, etc and all businesses is projected to cut federal revenue by 25% in the first year alone. That is but one instance of how disastrous Trump's inability to foresee the pitfalls of his policies would be for us.